HAWK Sportsman’s Rubber Wire may is the most versatile piece of gear that I carry in my backpack. I use this stuff from everything to hanging trail cameras to attaching my field tag to an animal after the harvest. 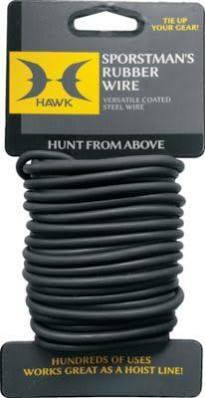 If you’ve never used HAWK Sportsman’s Rubber Wire before, you owe it to yourself to pick up one or two of them ASAP.